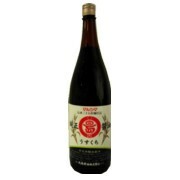 Product explanation The pure soy sauce is the soy sauce which let you protect the tradition for 400 years in Shodoshima blessed with a climate, the climate which is most suitable for a soy sauce structure and mature by the traditional "ancient rite brewing" for a long term. I let 30 cedar pails which makes use of the power of the Aspergillus oryzae in raw materials to the maximum mature slowly and carefully and finish Marudai bean, wheat, the sun-dried salt which selected carefully in a light color to patronize a color and taste of the dish material still more. Taste, body, the fragrance is the best. I do not use the genetically-modified soybean for the soybean of raw materials.